Santiago and his brother came to Miami to find a fly fishing guide. They do a lot of fly fishing in there country of Chile. They are very experienced freshwater trout fisherman and wanted to try some saltwater fly fishing. We set out looking for tarpon in the inshore waters of Miami. 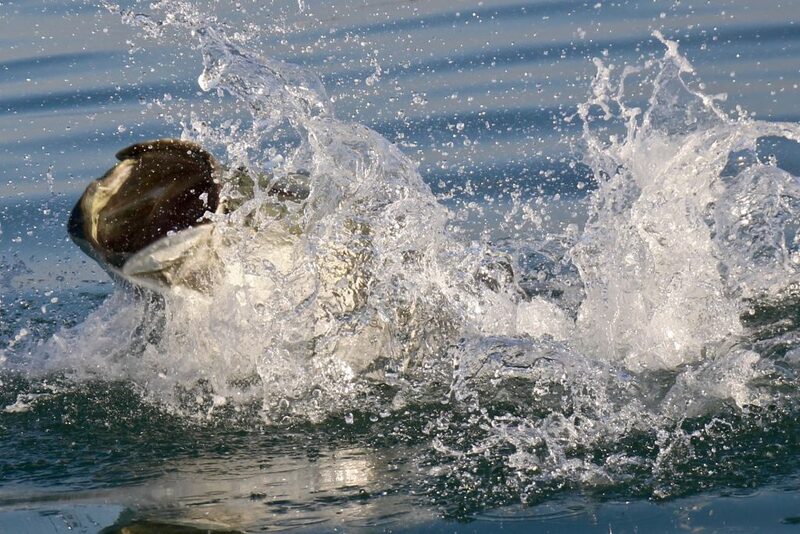 The first couple spots that held tarpon, the day before, had nothing today. I tried another place that was very nicely protected by the wind and we saw our fist tarpon roll for the morning. It turned out that a pretty good amount of tarpon are in the area, we hooked two but both jumped off. Both anglers were so excited after seeing what a tarpon over 100 pounds can do while jumping and peeling off line from a heavy drag. It was just about time to head in from the charter when we hooked our third tarpon, this one stayed on the hook and we landed it in about 30 minutes. We were able to take it off the hook and back to swimming around as fast as possible. It was good to see some guys that are as concerned with the well being of the tarpon as I am.